How am I going to move all this stuff? It hits you out of the blue that you are going to have to rent a moving truck…a big moving truck. A 12-foot moving truck surely has certain parameters you must meet in order to drive it, right? Actually, it takes a driver’s license and all of your strength and patience. You shouldn’t worry. We are going to share seven tips for driving a big moving truck that will get you through your journey, no matter how long. This may sound like a given, however, it’s important that you remember what you learned in driver’s education. A big moving truck is a bit more of a take on than a Corvette. Driving smart includes many tips and safety precautions. Here are some of the most important. Check your surroundings. Actually, check them more than once. It is important to make sure no one is around you when switching lanes or making sharp turns. A moving truck can be a bit more difficult to see out of than a regular car. Obey your stoplights and do not forget your turn signals. Those that may be following you will want extra time to stop to avoid a collision with you. Don’t run through red lights. You are a larger target. Stay behind. Don’t drive too close to the vehicle ahead of you. It will take more time for you to slow down and the brakes are using more pull. ALWAYS wear your seat belt – don’t forget. Driving smart includes paying attention to your surroundings, not changing lanes too quickly and using caution when passing other vehicles. You should also remember to stay alert and listen for sirens and other things happening around you. Along the way, you may need to stop to eat or perhaps when nature calls. Fortunately for you, you have these safe parking tips. If you can, use parking designated to trucks or passenger vehicles. Oftentimes, you can “drive-through” these spaces, making it easier to use. Lock your doors and make sure the hatch is locked on the back of the truck. You never know what may happen while you are away. Protect your belongings. Make sure you park correctly if on a hill. Your tires should point in if you are parking downhill and out if parked uphill. Parking your moving truck is not as difficult as it looks. If you are driving with a partner, have them get out and guide you to ensure you stay away from other vehicles. When you are looking for a moving truck to fit your needs, don’t settle for just anything. Instead, make sure the truck you rent is a newer model that has been taken care of and has all of the necessary equipment and options. You may want an aux port for music, or perhaps an electrical outlet for a phone charger. Remember, if you are driving a long distance, comfort is going to be the key. Newer models will have better seats, less mileage, and better amenities. To customize the mirrors so that you can see what is behind you. Check the rear view mirror as well. Adjust the seat so that you are comfortable and able to reach everything without reaching. Take a look at the dash and the controls. Make sure you are aware of everything, including the turn signals. wipers and of course – the radio! Sometimes, you just want to get where you’re going. However, it is important to remain calm and drive safely in order to reach your destination. When driving a moving truck, you should be aware of posted speed limit signs and stay true to them. If it is raining, you should be more careful and reduce your speed. Remember, you have your belongings in the back and precious cargo up front. Obey speed limits and watch for harsh weather conditions. I know, the fear is real. However, you may find yourself in a situation where you need to back your moving truck up. When backing up, make sure you can hear behind you. Roll your window down so you can see behind you as well. Stay slow and take your time. If you are unsure if the back is clear of pedestrians, it is okay to honk your horn or have your passenger check for you. If your passenger can help, let them help by guiding you with hand signals that you can see from your mirror. Remember, this moving truck is large and is not what you are used to. Use your common sense and back up safely. You won’t leave your pets behind. It is only right to treat them with the best care possible as you travel with them. You should keep your pet up front with you where you can see them. You can keep them in a crate, or use a harness. Don’t leave them in a hot vehicle. When you can, make stops to allow them to run around and drink some water before you continue on. As you drive, make sure your pet doesn’t have a way to get under your feet. This can quickly cause disaster. Overall, driving a moving truck comes with a lot of different parts. From keeping yourself safe to keeping your pets comfortable and those around you aware, driving a moving truck long distances can be trying. However, it will be worth it when you see your new home in the distance. 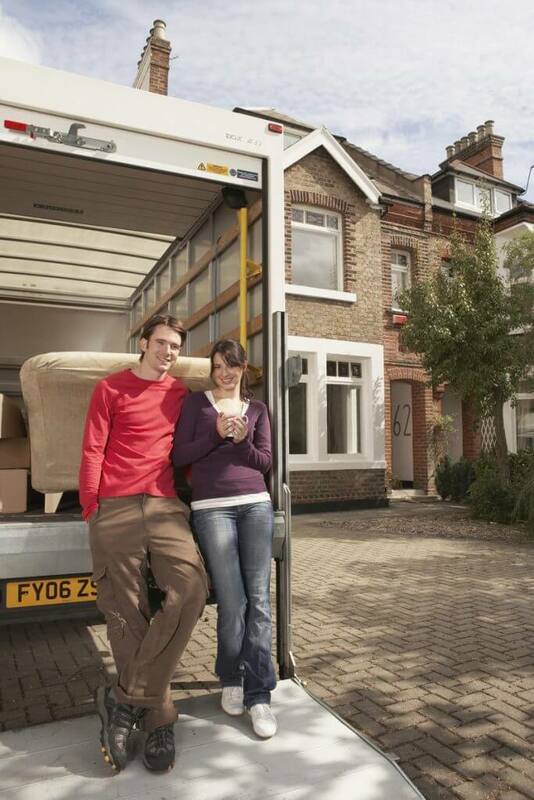 Enjoy the ride while you can and use these tips as your moving survival kit along the way!